Gaining safe access to loft space through a loft conversion or through adding loft stairs is a real home improvement that home owners feel the benefit of. Not only can it add value to a home, loft stairs are also a much safer option compared to loft ladders and add extra valuable storage area (that’s also out of sight). 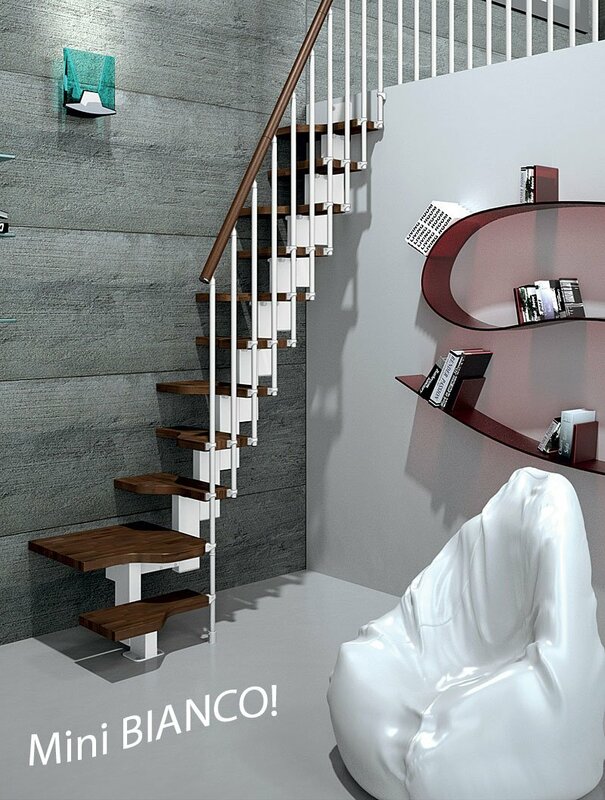 Buying loft stairs with height adjustable treads helps to increase your choice of staircase styles. 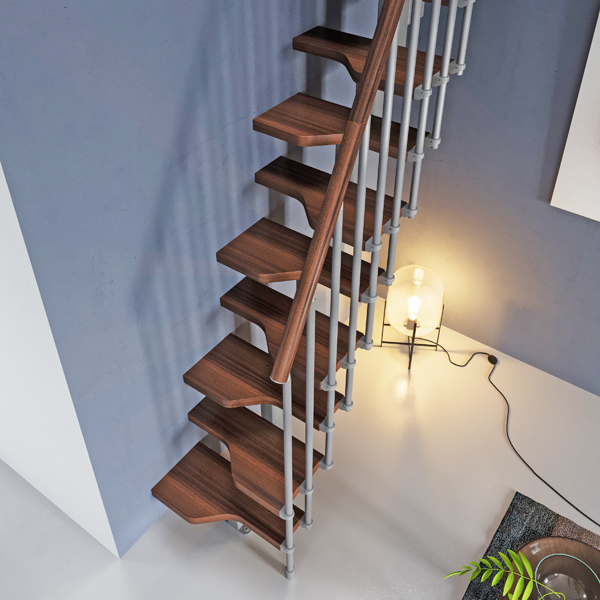 You no longer have to get a boring wooden staircase made to measure (with the chance that it will be wrong when it arrives). A modular space saver staircase such as the Mini Plus (pictured below) has height adjustment over a wide range. This will enable a perfect fit irrespective of the height of your loft project. Also it’s advisable to check when buying loft stairs that extra treads can be bought (if required) to boost the height. Correct spacing gaps for spindles, which must be less than 100mm apart. When buying loft stairs make sure the stairs are durable, hard-wearing and long-lasting. 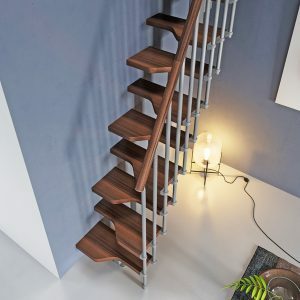 Strength is in the materials used, Spiral Stairs Direct us use hard-wearing Beech wood and metal parts which are powder-coated for long-term durability. If you need any advice about fitting loft stairs give us a call at Spiral Stairs Direct on 0121 351 1533. We realise loft stairs are that little bit different and it’s essential to have a perfect fit. Give us a call and we can advise and also discuss UK building regulations requirements.